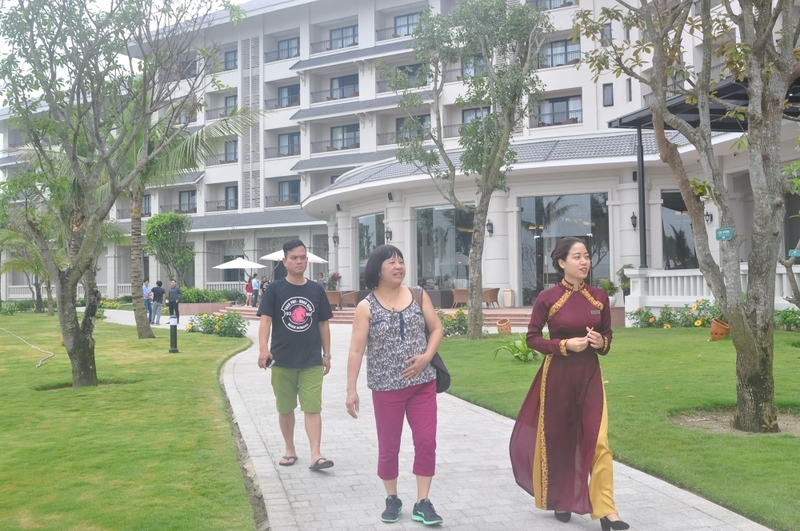 (VEN) - The number of Vietnam’s tourist accommodations is increasing rapidly and their quality is improving, said Vu Van Thanh, director of the Hotel Department under the Vietnam National Administration of Tourism. According to the Vietnam Tourism Annual Report 2017, the country had 25,600 tourist accommodation establishments with a total of 508,000 rooms in 2017, an increase of 21.9 percent in establishments and 21 percent in rooms compared to the previous year. There were 882 three to five-star hotels offering 104,315 rooms, accounting for 5.06 percent and 28.1 percent of the total. The report also says average room occupancy was 56.5 percent in 2017, including more than 70 percent in coastal areas, 61-65 percent in northern mountainous areas and more than 50 percent in the central provinces. Vu Van Thanh said tourism revenues and average room occupancy in the past five years have seen a large difference between hotels. At three to five-star hotels, international tourists generally account for 75-80 percent of total guests, with the average price ranging from US$70 to US$110 per room per night. Room occupancy at three to five-star hotels is higher than the average rate of the whole system, ranging from 60 percent to 68 percent. According to the Vietnam Tourism Annual Report 2017, tourist accommodation establishments have been attracting large investments and are becoming increasingly diverse in types, operational methods, and forms of ownership and management. Condotels (condo hotel), one of the most common types, have become a hot development target in the real estate market in recent years. Data show that some 12,500 out of more than 22,800 available condotel apartments were traded successfully in 2017 in major destinations like Da Nang, Khanh Hoa, Phu Quoc and Binh Thuan in the central region and the northern province of Quang Ninh. However, the condotel sector still faces challenges given that they have yet to be regulated, causing difficulties for state management agencies and residents. Vietnam is being urged to speedily address issues of land, condotel and villa resort property rights certificates, possession duration, transfer of contracts and construction standards. In addition, a wave of investments in beach resorts, homestay and timeshare has contributed to diversifying accommodation types. Another important factor highlighted by the Vietnam Tourism Annual Report 2017 is service quality. In recent years, many tourist accommodation establishments have made greater efforts to improve service quality and infrastructure, contributing to enhancing the image of Vietnam’s tourism in the eyes of international friends. In 2017, many hotels and resorts in Vietnam won prestigious tourism awards in the region and in the world. Growth of tourist accommodation establishments will be an important resource to help Vietnam’s tourism develop strongly and sustainably. To meet tourist needs, Vietnamese tourist accommodations should accelerate the application of digital technology in management.